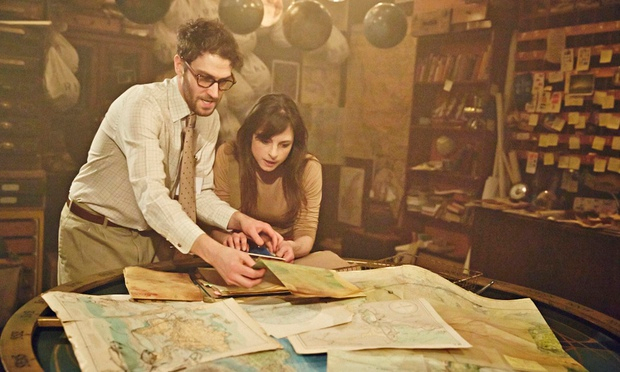 For me Punchdrunk are the most exciting theatre company around. Their immersive show The Drowned Man changed the way I look at theatre and it’s completely Punchdrunk’s fault I am spending way more money than I should on return visits to New York lately. So obviously I had to check out their new theatrical family adventure set at the National Maritime Museum in Greenwich. 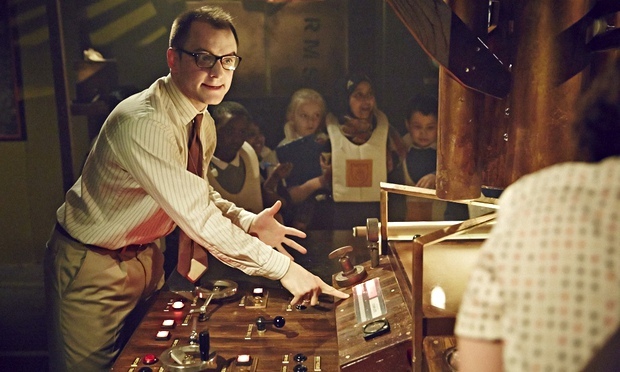 Against Captain’s Orders is a Punchdrunk Enrichment production aimed at 6-to-12-year-olds. I don’t really fit into that category anymore but lets face it – we all love to let out our inner child now and then. Without giving too much away I am going to say this about the show: It’s an imaginative, fun and captivating journey into the depths of the museum. Those of you who have seen The Drowned Man will notice some familiar smells. I don’t think I ever mentioned it before but if you like unusual and intriguing fragrances I urge you to check out Demeter or their UK website Library of Fragrance. Punchdrunk use these fragrances in most of their shows and just smelling scents like “Thunderstorm” or “Fireplace” will transport you back into their theatrical world. Against Captain’s Orders combines theatre and education as the audience embarks on a hunt for 4 lost objects. Assigned to one of four teams the audience becomes the crew of the MS Adventure. The attention to detail in the set is astonishing – just try and count the number of bottles in one of the rooms, all of which have been hand filled with messages. And make sure you pay attention to any signs you pass on your way. The cast of two does a wonderful job in guiding the audience through the story, always making sure to keep the focus on the kids and encouraging them to get involved. And Punchdrunk wouldn’t be Punchdrunk if there weren’t a few scary touches, dark corners, creepy music and, of course, a maze. Even though this show is aimed at children it is well worth checking out for adults too. Due to high demand Punchdrunk Keyholders and National Maritime Museum Members can attend an adult only version of the show on Thursday evenings. Personally I’d say this would be the perfect time to start supporting Punchdrunk by becoming a Keyholder especially if you don’t have a child at hand to take along to the regular daytime performances of the show. I could go on about what exactly happenes at Against Captain’s Orders but there is a reason Punchdrunk like to keep details about their shows to themselves. There is no bigger thrill than going in without knowing what to expect. So I’ll suggest that you do just that. 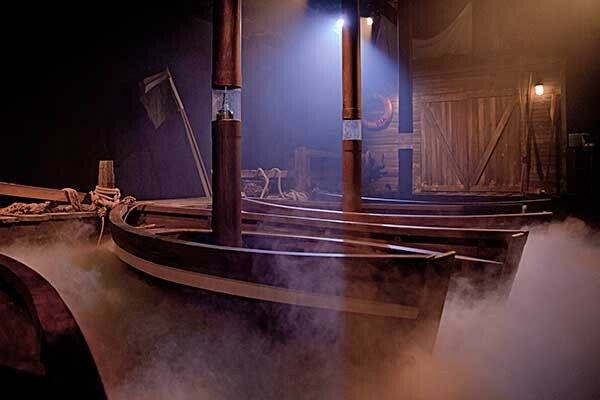 Put on your life jacket, join the crew and go Against Captain’s Orders at the National Maritime Museum. To find out more about Punchdrunk and their work please visit http://punchdrunk.com.